"Sadness will last forever." 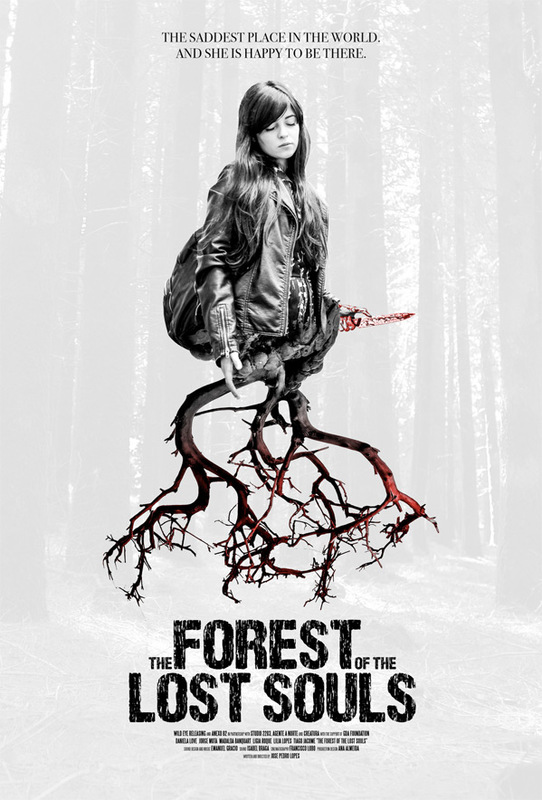 Wild Eye Releasing has debuted an official US trailer for a Portuguese horror film titled The Forest of the Lost Souls, or originally A Floresta das Almas Perdidas in Portuguese. The psychological coming-of-age horror film is about two strangers who find themselves in the same "dense and remote forest", a place where many people go to commit suicide. They continue talking and walking and start to learn more about each other, taking them down a path neither expected. The Forest of the Lost Souls stars Daniela Love and Jorge Mota, along with Mafalda Banquart, Lígia Roque, Lília Lopes, and Tiago Jácome. It's hard to really figure out what's going on in this trailer, but it looks like there might be something intriguing here. It also seems like there's a major twist or two we're not supposed to see coming. Ricardo and Carolina are complete strangers that meet seemingly by chance in the "Forest of the Lost Souls", a place where many people go to commit suicide. These two, a young woman and an old man, are no different than the others as they also came to the forest for this very reason. They decide to briefly postpone killing themselves in order to explore the forest and also to continue talking to one another, as Ricardo and Carolina find themselves intrigued by one another. However, as the pair go further into the forest it becomes clear that one of them has other reasons for being in the forest and is not who they would have the other believe them to be… The Forest of the Lost Souls is both written and directed by Portuguese filmmaker José Pedro Lopes, making his feature directorial debut after making a number of short films previously. This first premiered at the Fantasporto Film Festival in Portugal last year, and played at a bunch of different film festivals before opening in Europe last fall. Wild Eye Releasing will finally release Lopes' The Forest of the Lost Souls in select US theaters starting on August 3rd next month. Anyone interested?